Millennium Development Authority, MiDA, has confirmed receiving a letter from one of the Consortia shortlisted for the ECG Concession. 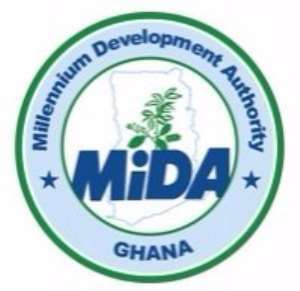 “MiDA confirms that it has received such a letter on a Bidder’s concern about the Government of Ghana’s Policy to have 51% Ghanaian ownership in the structure of the Concession,” a press release from MiDA stated. French electricity conglomerate EDF, French transnational company Veolia and their local partner CH Group – who have put in a joint bid for the ECG Concession – rejected the government policy that allocates 51 percent mandatory ownership of the concession to Ghanaian companies. In a letter dated February 12, 2018 and signed by Kevin Dadzie of CH Group, EDF and Veolia are protesting against the latest local content policy direction under the amended Request for Proposal (RFP), aimed at encouraging Ghanaian companies and entrepreneurs to be majority shareholders in the concession arrangement. In the letter, addressed to CEO of Millennium Development Authority (MiDA) Enson Benjamin, and copied to the Board Chair Prof. Yaa Ntiamoa-Baidu, EDF and Veolia said: “We are writing on behalf of the consortium comprising CH Group Ltd, EDF and Veolia Africa, to express our significant concerns regarding the Newco [ECG] structuring requirements as set out in the amended Request for Proposals, dated 29 November 2017 (the ‘Amended RFP’). The latest amendments under the amended RFP introduced mandatory 51 percent Ghanaian ownership – ultimate legal and beneficial ownership by Ghanaian citizens. It puts express restrictions on creating different categories or classes of shares in NewCo; and the requirement for this 51 percent threshold is to be maintained for the concession’s full duration; a potential company event of default would trigger the default buy-out-option if this 51 percent threshold is not maintained. According to the consortium, the above requirements significantly impact the consortium’s ability to structure a workable solution. The consortium further stated its financiers have cautioned that such restrictions will ultimately impact the concession’s bankability.